Don introduces the PW team, mentions this month’s article on the new licence syllabus and turns once more to FT8. News PW’s monthly roundup of news from the UK and internationally, including new products, club news and recent events. 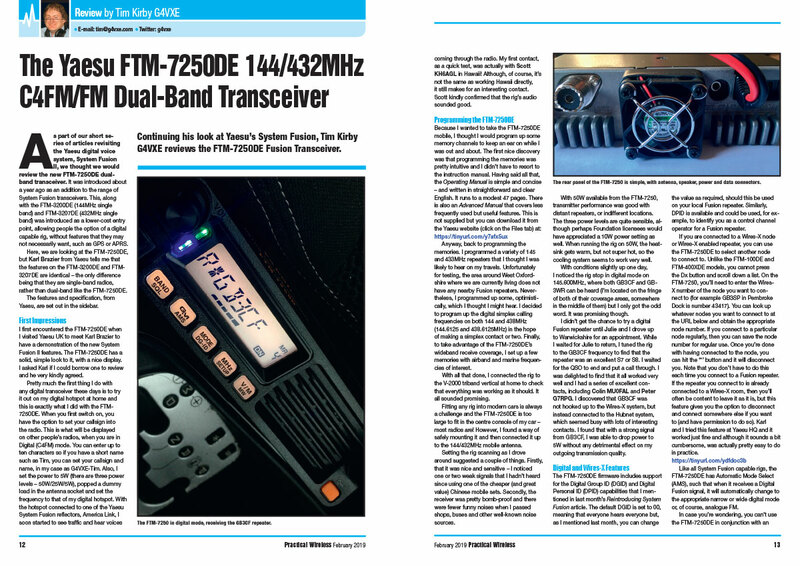 Continuing his look at Yaesu’s System Fusion, Tim Kirby G4VXE reviews the FTM-7250DE Dual-band Fusion Transceiver. Contest Manager Colin Redwood G6MXL has the results of the 2018 contest. Meteors are of interest to radio amateurs, particularly those interested in using meteor scatter propagation. 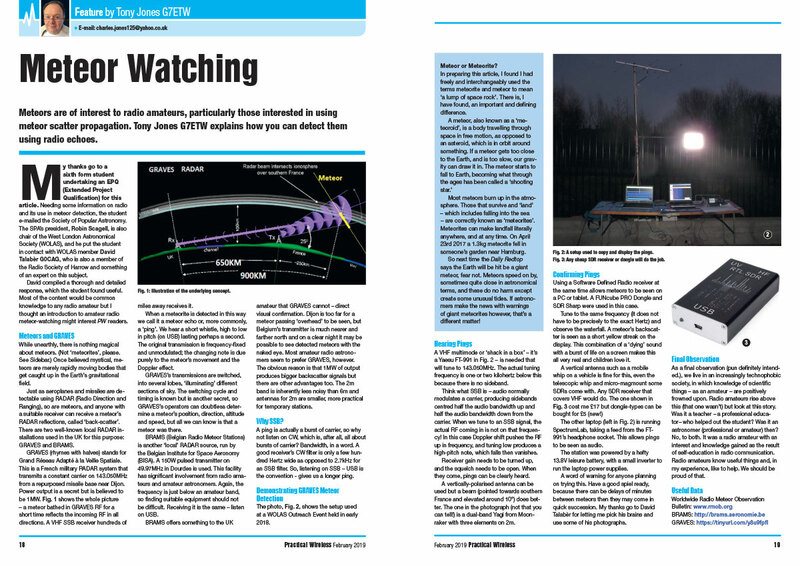 Tony Jones G7ETW explains how you can detect them using radio echoes. 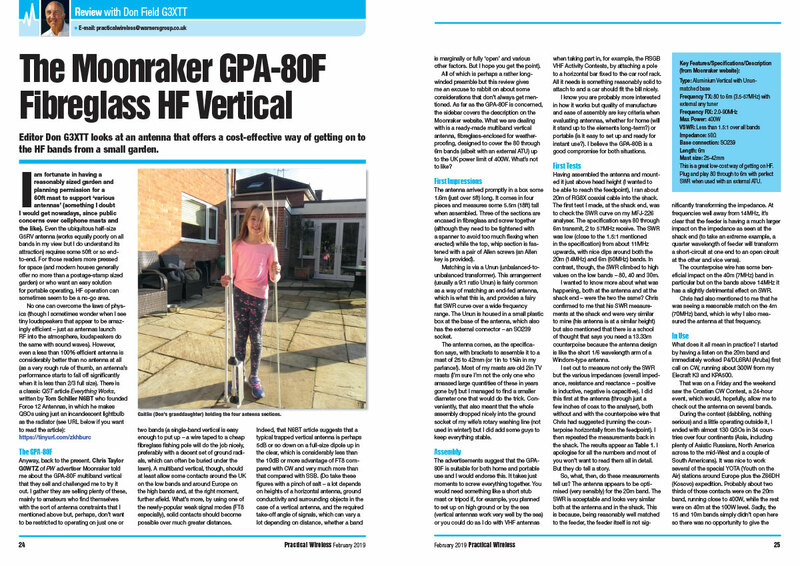 Editor Don G3XTT looks at an antenna that offers a cost-effective way of getting on to the HF bands from a small garden. Tim Kirby G4VXE reflects on a year of FT8 on the 2m band, has the usual band reports and news of the Fox -1Cliff satellite. 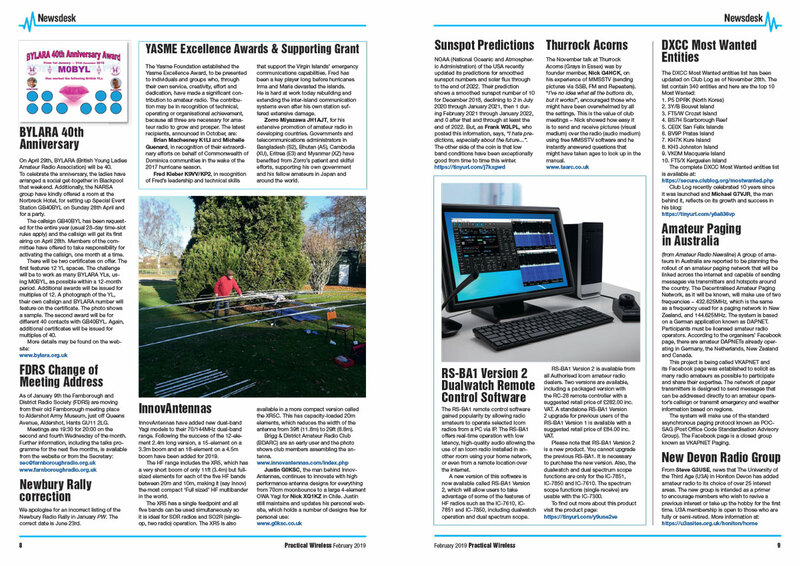 Roger Cooke G3LDI has more to say about encouraging Morse training and reports on some very successful Bootcamps, putting those concepts into practice. Steve Telenius-Lowe PJ4DX reports plenty of DXpedition activity during the month, much of it worked by his correspondents, even those running QRP. Geoff Theasby G8BMI has two more cheap and cheerful projects for those dull evenings when the bands are closed! Your one-stop shop for hobby-related titles, biographies, reference titles, historical accounts, technical advice and successful building projects. Wide-spaced variable capacitors, suitable for high-power ATUs and similar applications, are expensive and difficult to source nowadays. Hamish Storie MM0GWO explains how to roll your own. Bernard Nock G4BXD concludes his overview Pye PMR sets. Harry Leeming G3LLL covers PA valves, receiver noise, diodes and a modern parable in another packed column. Tony Jones G7ETW offers a guide to the changes to the new Foundation Licence examination syllabus, such that clubs can modify their training programmes accordingly. Colin Redwood G6MXL passes on a few pointers regarding QSLing that newcomers may find helpful and which may also be of interest to more established radio amateurs. Mike Richards G4WNC has the latest on WSJT-X as well as a significant update on SDR developments. Don G3XTT was fortunate enough to operate from Oman in the November CQWW CW Contest. He relates his experiences, with some information about the state of amateur radio in that fascinating country. Lee Aldridge G4EJB explores a new dimension to the hobby for him and relates more developments in the shack. Joe Chester MW1MWD gets up and running once his KX3 finally arrives. 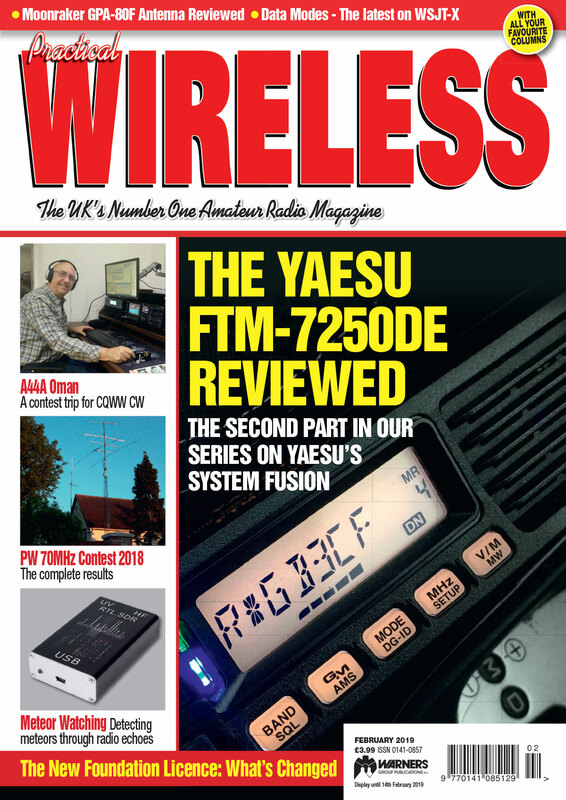 Lots of feedback this month on earlier articles and letters, along with new topics, including reissued callsigns and whether a rig needs two separate receivers. Locate a rally or event near you; we have our usual comprehensive list.